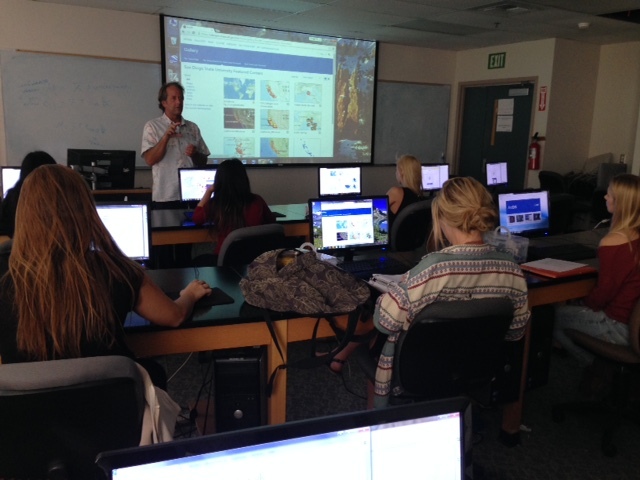 This week in our sensor journalism class we explored the world of data-driven journalism and GIS basics. As we move forward on our sensor journey, these two worlds will become more important as we start to work on the stories and map out the air quality sensor data we are collecting. Joe Yerardi of inewsource showing examples of data-driven journalism. 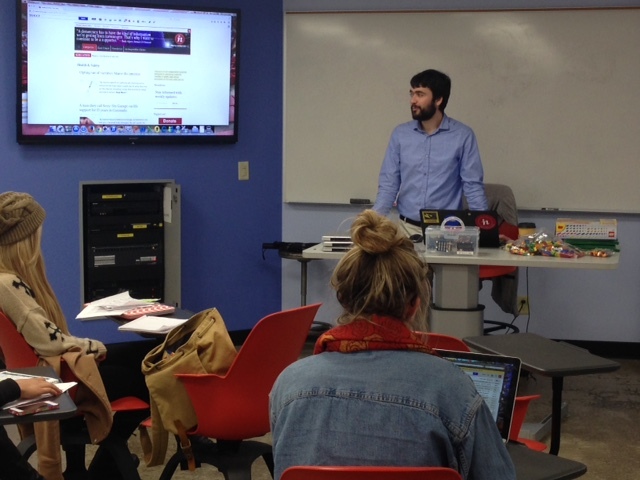 Joe Yerardi, data reporter for inewsource, visited our class on Monday and spoke with us about the world of data-driven journalism and data visualization. He spoke about the power of having data to tell important stories in a community. It can allow us to see patterns, trends and issues in a different way. 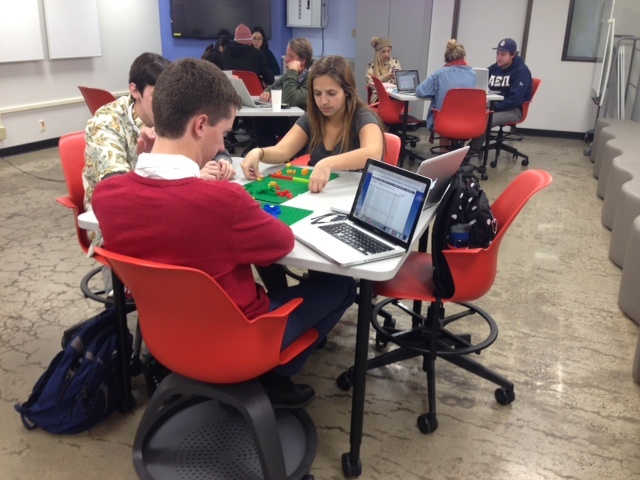 The Lego idea was inspired by Matt Waite, journalism professor at the University of Nebraska-Lincoln, who used Legos to teach data visualization to his students, so we decided to do something similar in the class. So Joe had the students get into groups of three and had them review last year’s MLB stats. They then had to visualize those baseball stats using Legos. We had a blast! Sometimes the best way to learn about data-driven journalism first – is to learn about its outcome first – how the data is presented, how it is arranged and organized to make it easy for the public to understand. Through this Legos exercise, we were able to achieve that simple premise. Students using Legos to visualize baseball stats. The idea of using Legos for data visualization is not unusual. Joe showed the class this example from Mashable, in which they used Legos to show the midterm Senate elections from last November. If any journalism educator is looking to explore how to teach data 101 and data viz, using Legos can be a great way to introduce the concept! Our time with Legos will continue in the class, and we will have Joe return to our class in another week or so to show us Excel, basic math, and data techniques. Kevin Robinson introducing ARCGIS Online to the students. This week we also jumped into GIS basics. Kevin Robinson from the Department of Geological Sciences who is co-teaching the class with me this semester, took us on a field trip to the GIS lab in the Sciences building on campus. Kevin showed us the ropes of getting started with ARCGIS Online with a tour of the interface, how to create a map, how to add layers, change the legend, save the map and publish it. Whew! It was a full week but we definitely learned a lot! Next week, we will have Sean Bonner, journalist and entrepreneur as well as co-founder and global director of Safecast, visit with us next week to talk about his sensor journalism work. On the air quality sensor front, we have started deploying our sensors to our community volunteers. We will also be deploying our sensors to specific neighborhoods in San Diego in the weeks to come. Stay tuned!